During the Nazi occupation of the Netherlands, in the sealed off upper rooms of the annex of a pectin manufacturing plant, Anne Frank sat by candlelight scribbling in her diary. Contemplating her situation she wrote, “Look at how a single candle can both defy and define the darkness.” Even at thirteen years of age, she was able to understand the Unity of Opposites, the theory that the existence of a thing is defined by and depends on the existence of its opposite. The animated film Birdboy: The Forgotten Children, directed by Pedro Rivero and Alberto Vázquez, and based on the graphic novel by Vázquez, brings to mind this Unity of Opposites. It is the story of a post-apocalyptic style existence in a fishing community on a once beautiful and pristine island. This island’s ruin is attributed to the explosion of a factory built on the island. What remains of this factory is now a landfill with many of the islands inhabitants reduced to scavengers. The entry point for the audience into this world is through the character Dinky, a mouse who lives the most ordinary life out of the film’s animal characters. 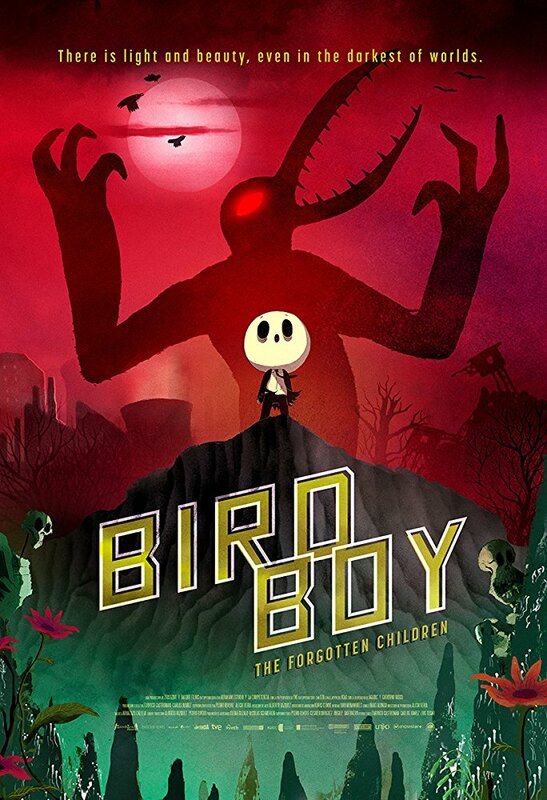 Most of the characters of Birdboy: The Forgotten Children live violent and surreal existences that are pushing the envelope as far as kid friendly content is concerned. Dinky is the one character for which the audience can identify, as she lives in a somewhat normal home with fundamentalist Christian parents. Dinky and her friends, Zorrito and Sandra, decide to flee the island in search of a better life. Their ultimate success lies in their ability to raise enough money in order to purchase a boat they can use to pilot through the treacherous waters. Dinky implores her now estranged love interest Birdboy to escape with them. Birdboy, however, decides to remain, as he has a nearly uncontrollable demon inside of him. Their journey leads the characters through a gauntlet of an undertaking, forcing them to fight against various foes. “The demon that resides within the self” is a continuing theme throughout the film, with several characters having to confront and battle their own inner evils. Nonetheless, it with Birdboy that this battle holds within it a special light. 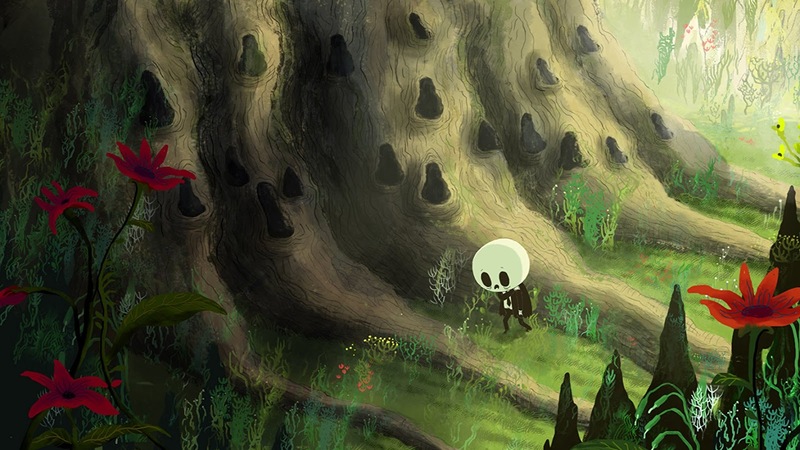 Friedrich Nietzsche wrote, “I am a forest, and a night of dark trees: but he who is not afraid of my darkness, will find banks full of roses under my cypresses.” This quote captures perfectly the state of Birdboy’s existence on the island. Many of the island’s inhabitants misunderstand the character, as his tortured existence has taken his reputation to mythical proportions. It is only Dinky who recognizes the lightness inside of him. Although this film bordering on being too macabre for a children’s tale, I find it fitting that it is through the eyes of the child Dinky that we, as the audience, are exposed to the Unity of Opposites residing in Birdboy. Because, Like Anne Frank, the mind of a child, uncorrupted by the damage of an adult existence, seems more capable of seeing the truth inside of something or someone. Winner of the Goya Award for Best Animated Film, Birdboy: The Forgotten Children is one of the most original animated features I have ever seen. With its dramatic palette and racy storytelling, Pedro Rivero and Alberto Vázquez bring us something uniquely compelling and unforgettable. It is a stark and unforgiving commentary on the human condition. Simultaneously, and because of this commentary, this film contains in it, the kind of haunting and beautiful journey that has the power to light the fires within us and make the soul sing.